After months of house renovations, our home was finally ready for guests and I couldn't wait to have our friends over. Hosting dinner parties is one of my favourite things to do as it means I can spoil our guests and cook/bake to my hearts content. Our housewarming was back in June last year, and I'd been meaning to blog about this forever! Oops. Better late than never. 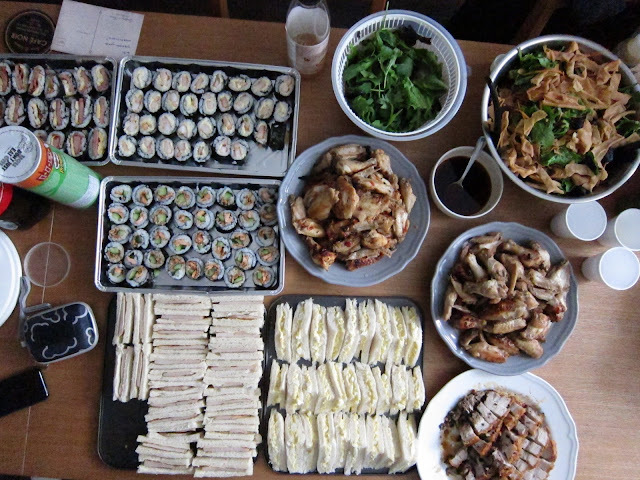 There were loads of savoury finger foods and I made sure there were plenty of baked goodies too. As our housewarming was doubled up with my birthday, I also made a made a strawberry and nutella birthday cake. It's a running joke amongst my friends that I love baking my own birthday cake haha. 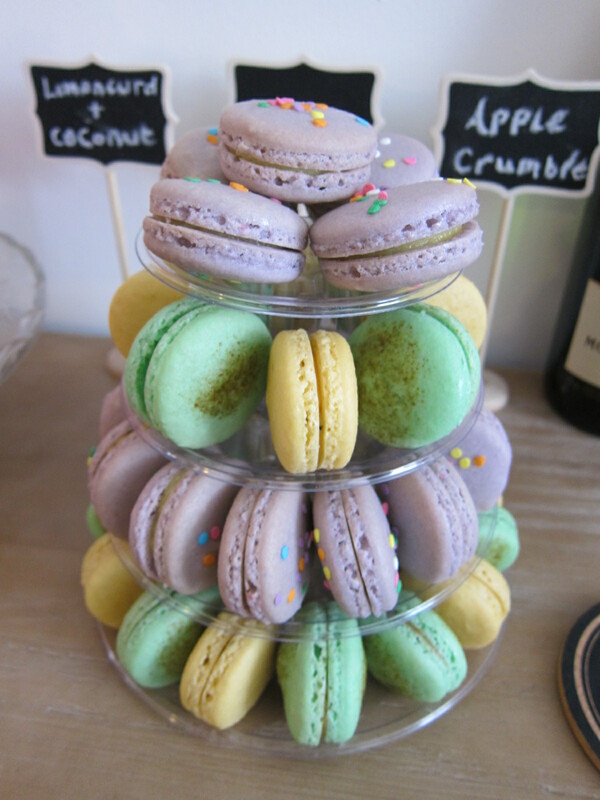 My macarons were a hit and disappeared pretty quickly! Flavours included kinako (roasted soya bean flour), houjicha (deep roasted green tea) and lemoncurd. 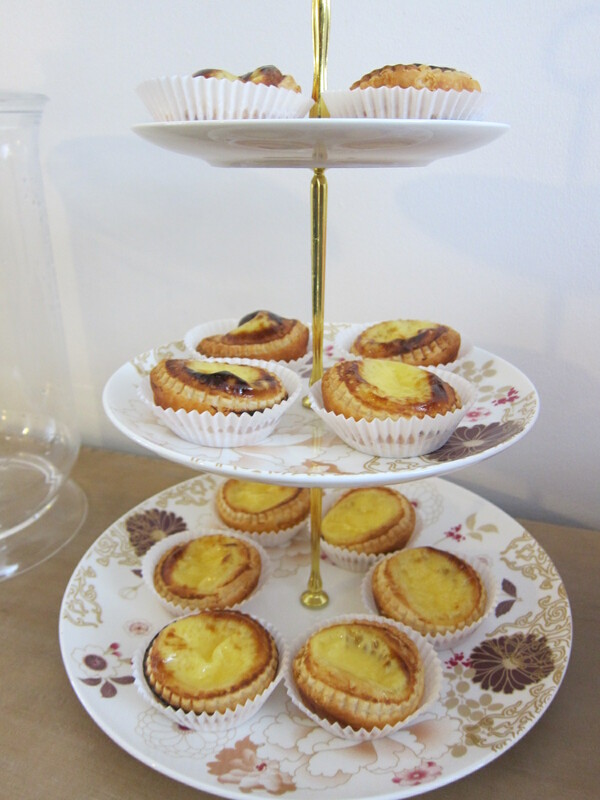 Cheats way egg tarts HK style has to be one of the easiest desserts to make ever! Here's the spread! I had over 40 people in our house, so I had extras prepped in the kitchen. 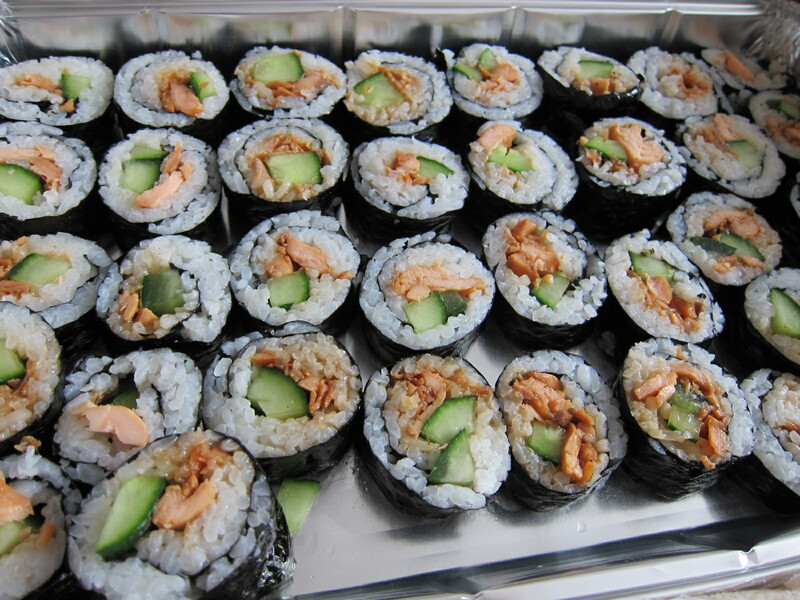 Salmon teriyaki and cucumber sushi. 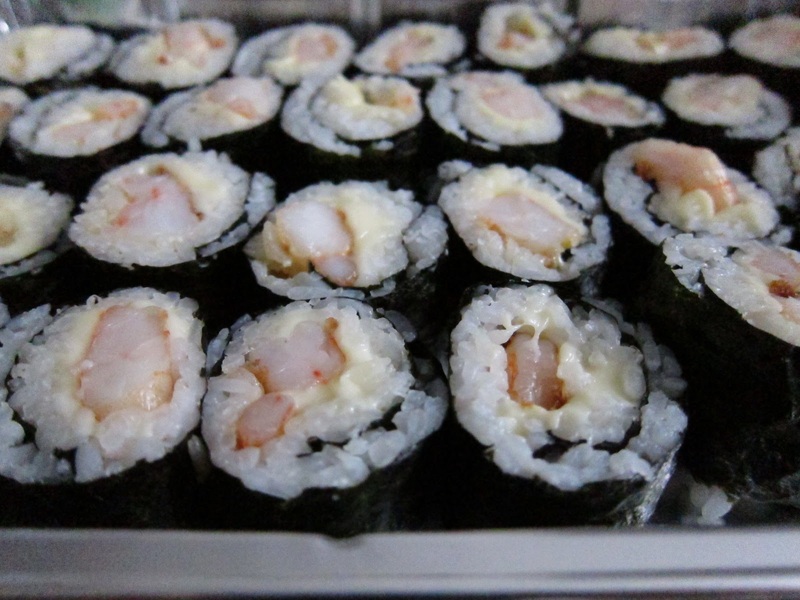 Fried prawns, dairylea cheese and kewpie mayo sushi. There were also spam and egg sushi which I just adore! Pan fried Vietnamese sausage on white bread. So, so, so good! Most of my friends had never tried this and they loved it. 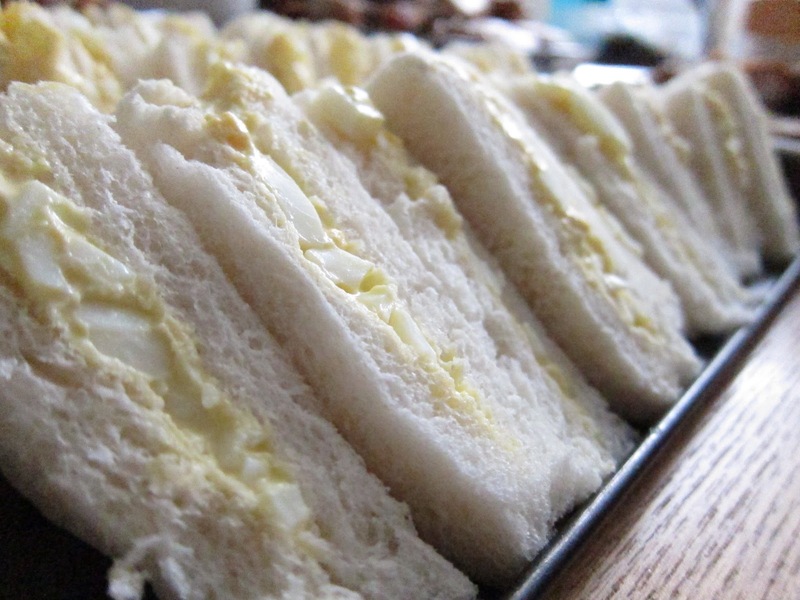 Egg mayo with Japanese kewpie mayo on white. 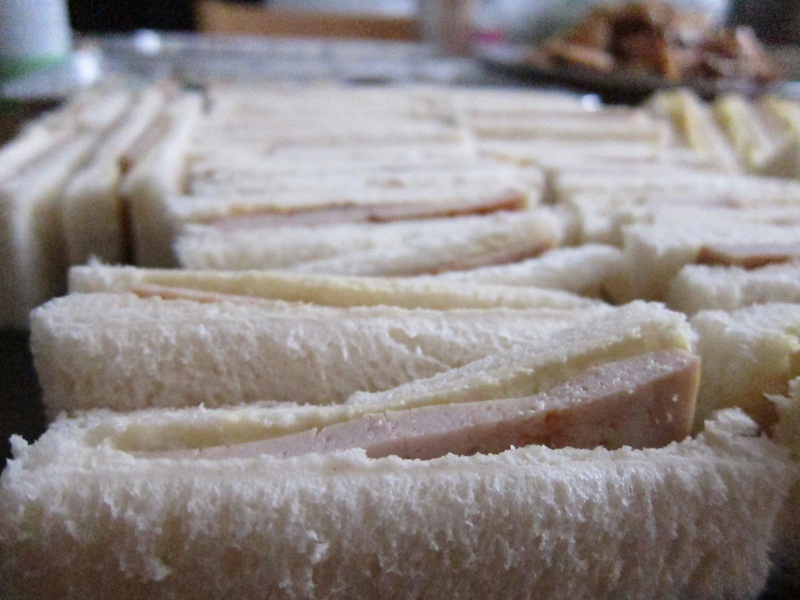 Kewpie mayo makes all the difference! 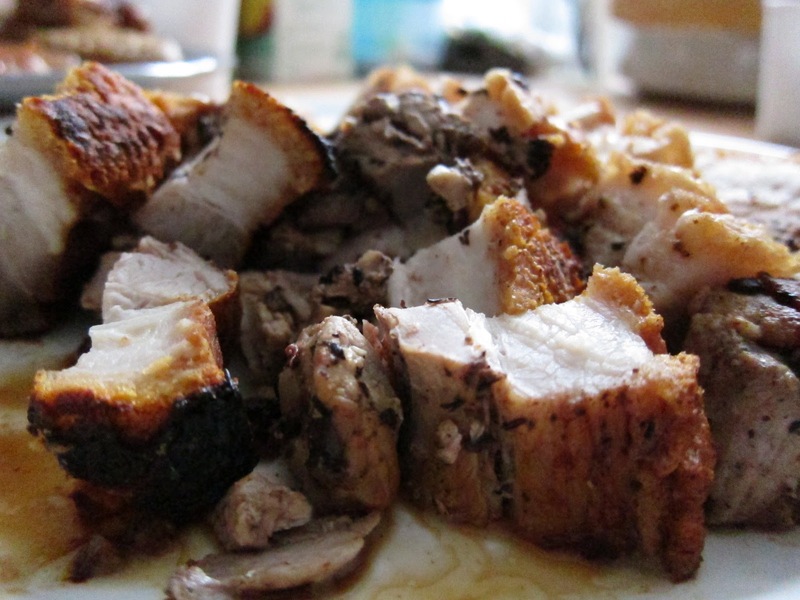 Crispy roast pork using my dad's old family recipe. It's so good! The special ingredient in this are fermented blackbeans and preserved red beancurd. This went in a flash. Char siu, Cantonese honey roast pork was also made, but I forgot to take a photo since I was busy running in and out of the kitchen. And for a healthy dose of greens, I made an Asian inspired salad with greens, crispy spring roll wrappers (they're like Chinese croutons! ), black sesame seeds and Japanese sesame-mayo dressing. Another crowd pleaser. 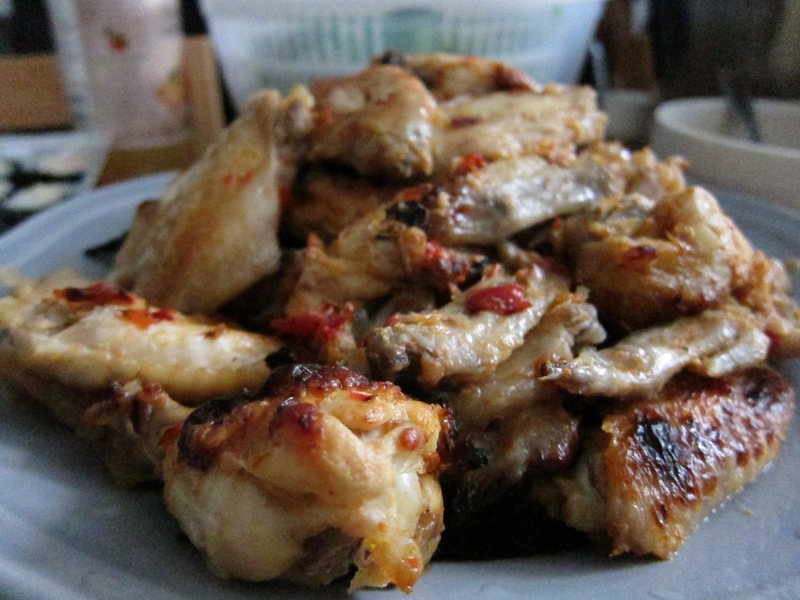 Spicy and tangy chicken wings. There were also Hong Kong style honey and soya wings too. Our lovely friend D brought over a huge stash of homemade brioche buns too, and we ended up making frankfurter and brioche hotdogs for afternoon tea. As evening fell, the guys were hungry again, so this time, I made rice with Thai pork mince and basil krapow. It was non-stop cooking all day, but everyone had a fabulous time and it was all worth it! Do you guys like hosting dinner parties and what are you go to party foods? This all looks fabulous! I love to entertain when we get a chance, and make all sorts of things. An autumnal favourite is jacket potatoes with chili con carne; I love mini foods like pizzas, sliders and such; and I make a mean 80s style cheese and pineapple hedgehog! Oh wow everything looks so good! You're such a good host, I like to keep my dishes simple when I have guests over so we all can relax lol. 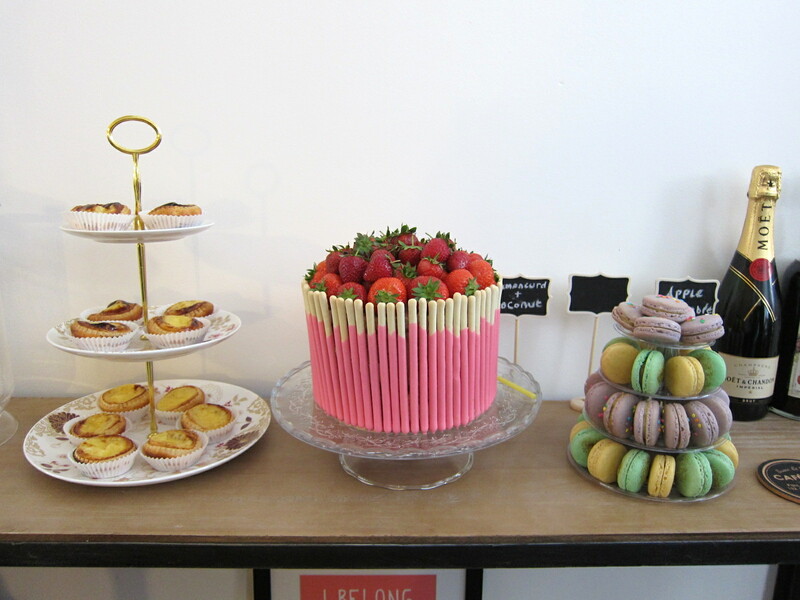 This all looks amazing, especially that strawberry cake! !